The most successful businesses are data-driven. They are the companies where leadership bases their decisions on preset metrics that they regularly track. Goals are set and adjustments are made with numbers serving as rationale. All this is great, but how does that play with customer service? When it comes to the touchy-feely aspects of a business, where do numbers factor in? Many companies use the Net Promoter Score® to convert customers’ qualitative reactions into actionable data. In this post, we’ll explore this metric generally and its specific application to call centers. Net Promoter Score (NPS) is a commonly used tool for assessing customer loyalty that was introduced in a 2003 article in the Harvard Business Review. A company’s NPS, relative to the scores of their competitors, is a predictor of growth. NPS is ideally an ongoing exercise in the life of a company rather than a one-time test. There are two types of NPS: transactional and relationship. Transactional NPS is taken immediately after an interaction with a company and is used mostly as an assessment of that particular interaction. Relationship NPS is taken at regular intervals to assess the overall state of the customer-company relationship. How is Net Promoter Score calculated? On a scale of 1-10, how likely is it that you would recommend our company/ product/ service to a friend or colleague? Respondents answer the first question with a number from 0 to 10, with 0 being extremely unlikely and 10 being extremely likely. Customers are then given the chance to explain their first choice in an optional second question that yields qualitative results. Scores are divided into three buckets. 0-6 are considered Detractors: Customers who are unhappy and can damage a brand. 7-8 are Passives: Satisfied but unenthusiastic customers. 9-10 are Promoters: Loyal enthusiasts who will fuel growth. Net Promoter Score is calculated by subtracting the percentage difference between the Promoters and the Detractors. Companies can score anywhere from -100 to 100. What is a Good Net Promoter Score? Scores vary widely based on a number of factors, including industry and age of the company. Ideally, companies compare their Net Promoter Score to their own past scores so that they can track progress. Companies can also benchmark against competitors’ scores. For many companies, the call center is the heart of their customer service strategy. It is the primary way that customers reach out to their business, which makes it pivotal to loyalty and retention efforts. NPS, then, is a natural fit for companies wishing to improve their call center efforts. How Does NPS Work in a Call Center? Call center NPS for a consumer-facing company is often transactional since customers are generally reaching out in a specific instance rather than having regular contact with the company. This means that each call center interaction would be set trigger an NPS survey. How this happens, exactly, would depend upon the call center software being used. An advanced cloud-based call center software might allow call center managers to create an automatic NPS ask associated with each closed call. This could be tied to agent-set disposition codes. A more disjointed system would require that call center agents manually send out the NPS after each appropriate interaction. In the case of a call center, the NPS survey can be administered in numerous ways, including telephone prompts after the call, email and text message. Each of these strategies has different advantages. For instance, telephone prompts are never going to be lost in the mail, but it’s possible callers will hang up before taking the survey. How Can This Metric Be Used to Improve Your Call Center? The key to using NPS to improve a call center is looking at both the quantitative and qualitative responses. Hard numbers are great, but the reasoning behind the number can only be found in words. Whatever the score, the explanations are where you’ll find what you need to improve upon. Not only can this metric help your call center identify problem areas, it can also aid in goal setting and tracking. NPS gives you visibility into customer loyalty, which can sometimes feel like amorphous, potentially unattainable goal. Even better than leveraging NPS alone is using it in conjunction with comprehensive call center reporting. NPS, even transactional, is not a quick process. It can’t match the speed of real-time reporting. For the health of your call center, it’s best to make minor adjustments on the fly and major adjustments as a result of a thorough NPS investigation. The more tools (and numbers) you have at your disposal, the better. 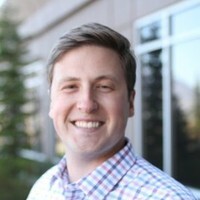 Chandler is the Head of Digital Marketing at Talkdesk. When he isn't working on the website and advertising campaigns, he loves to share contact center industry insights, trends, and best practices on the Talkdesk blog.